William Albert Schaffer, also known as Bill or Gramps, passed away on Sunday, February 3, 2019 at the age of 93. He was born to Merle and Cleo (Grey) Schaffer on May 11, 1925. He attended Waite HS where he met his wife Helen Schaffer to whom he was married for 68 years until her passing in 2012. Gramps served in the US Army Air Corps during WW2 where he flew in B17s and served as a radio operator. After the war he went to work at the Detroit & Toledo Shoreline Railroad for 43 years until his retirement in 1986. Retired for 33 years until his passing, his time was spent devoted to his daughter, grand-children, great grand-children, golfing, traveling and having his daily drink with his best buddy Kenny. Gramps was preceded in death by his mother and father, his wife Helen, his brother Richard Schaffer, brother-in-law Ted Savoff and his nephew Scott Savoff. He is survived by his devoted daughter Sharon, grandchildren Bill Sumner, Stacey (Jeff) Miller, Geoff (Crystal) Sumner; great-grand-children Tommy (Morgan) Sumner & Kyle (Judy) Sumner; Mark Staten; Jack Miller; and Alyxandra & Celia Sumner; his sisters-in-law Darca Schaffer & Donna Savoff, and nephew Mark (Torri) Savoff, as well as many other nieces & nephews; many who considered him their Gramps; and his best buddy Kenny Butler. The family wishes to thank the staff from Promedica Ebeid Hospice who assisted in Gramps’ care. Those wishing to make a donation in Gramps’ memory are asked to consider Promedica Ebeid Hospice or the First Church of Christ Scientist. 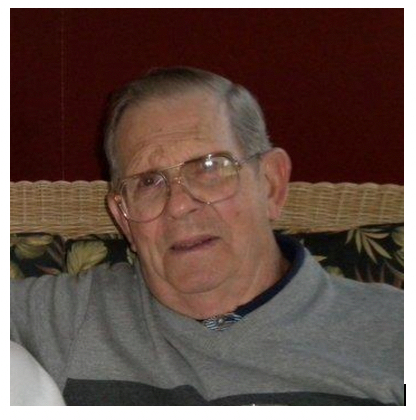 Visitation will be held at Reeb Funeral Home in Sylvania from 4p – 7p on Tuesday, February 5th. Funeral service at 11a on Wednesday, February 6th with entombment to follow at Ottawa Hills Memorial Park.